Bright, airy, open prow with huge viewing windows. 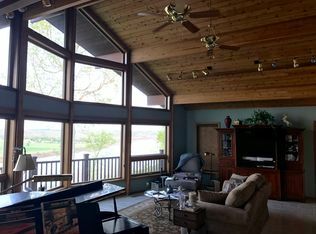 Great room with 17' cathedral western cedar ceiling. 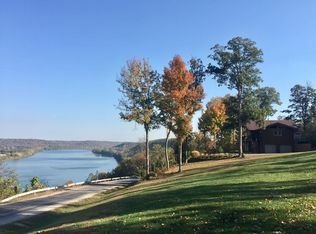 Magnificent panoramic views, 300 ft above the Ohio River, looking over to Kentucky farmland. 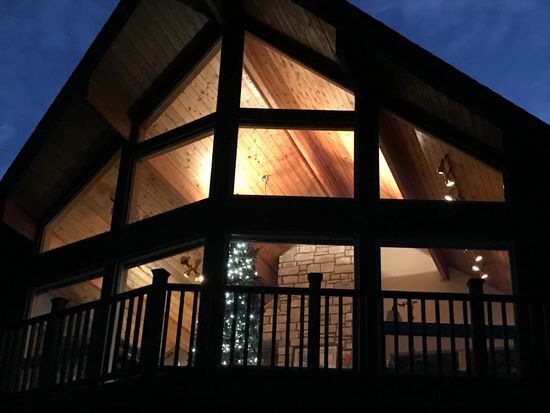 10 acres, mostly wooded and surrounded by Hoosier National Forest. 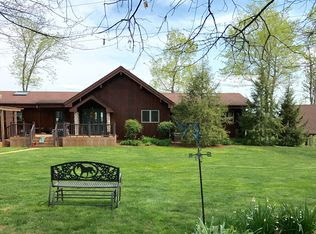 Supreme country living within easy driving distance to Louisville, Owensboro, and French Lick Resort.